» Fitness » Is Eating Gluten Bad For You? Less than a decade ago, few people had heard of gluten. Now that’s all changed. Thousands across North America are choosing to reduce or completely remove the common protein from their diets to improve their health. “Gluten-free” foods now line grocery store shelves and most of us are at least familiar with someone on a gluten-free diet. But what exactly is gluten and what harm does it really cause for your health? But is this your problem? Only a very small portion of the population is allergic to gluten, or cannot break it down properly. If you experience digestive complaints such as the one’s listed above, you may have trouble breaking down gluten in the digestive tract, but this does not mean that your are celiac or gluten intolerant. It may just mean that you need to improve your digestion, or the breakdown of food in the digestive track. When food breaks down, the elements are broken down into their individual constituents, and the cell walls are broken, unleashing its nutrition. This is the process of digestion, and each type of food, whether a carbohydrate, fat or protein, requires a different digestive enzyme. A person may be lacking in specific digestive enzymes, or they may be eating foods that are incompatible. For example, too many proteins with too many different kids of carbohydrates at the same time. It takes a more acidic environment to break down proteins compared to fats, compared to carbohydrates. Would I benefit from GF diet? By choosing a gluten free diet, you are making it easier for your body to digest food. 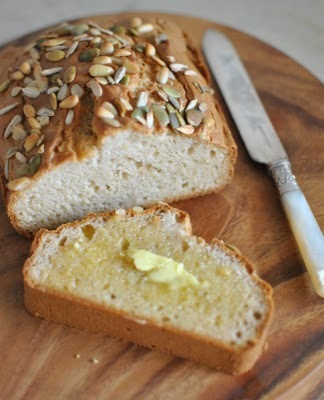 Gluten is a hard substance to break down, and therefore requires more time and energy. You may start to feel better. It is important to know that our bodies work on the net energy of food after it has been digested and not the gross amount. You can put all the healthy nutritious food into your gut, but if your body doesn’t absorb the nutrients, it doesn’t really matter. By improving your digestion, you can absorb more nutrition and therefore you body has more energy to carry out functions within the body. Choosing grains which are easier to digest means that you are digesting them more efficiently and obtaining more energy. Do we always want more energy? The short answer is no. If we burn our foods too quickly, the body will take this extra energy and tend to store it as fat. Carbohydrates or grains, such as white rice, will digest quite rapidly because it has been stripped of two layers of germ and fibre, and the body turns this digested food into sugar at a rapid pace. As the excess sugar enters the blood, the body wants to store this energy for future use if it cannot use it immediately, and it will do it by converting it to fat. It does this because its very easy to convert sugar to fat, and also the other way around, fat to sugar. Our bodies cells run on sugar, just ask the mitochondria, the power house of our cell. Sugar to the mitochondria is like gas for your car. No gas, no go! So where does this leave us, do we eat gluten, or stay away from it? I say a little bit of both. I always tell my clients that it is vitally important to get a varied mix of food. If you eat one type of food all the time, you are missing out! So it is wise to stay away from wheat as much as you can, but every once in a while I say its okay, if you are not experiencing digestive complaints. If you stick to whole grains you are doing your body a favor. This does not include “whole grain bread.” What I mean by whole grain is the “whole” grain. Examples would include; brown rice, quinoa, amaranth, buckwheat, rye in its whole form. When you take a grain and chop it up into a flour to make bread, the surface area of the grain is very large, and it burns up very quickly in the gut, leading to high sugar levels in the blood which get converted to fat quickly. You want to cook the grain without modifying the grain so the body needs to do the work to break it down. I do suffer from Celiac disease. Now what? 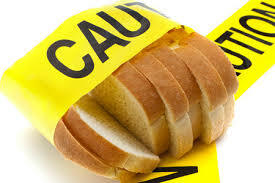 If you tend to have digestive complains after you eat foods with gluten, you may have celiacs disease. You should consult your natural health practitioner and they can test you for celiac disease. If you still find you are bloating or have digestive complaints after eating gluten, it may be with all grains, and not just glutenous grains. Gluten free foods you find at the store are often full of sugar, so if you do decide to eat gluten free foods, make sure you are not consuming high amounts of sugar in the process. Unless you have celiac, I don’t think gluten is that bad at all. I think the “gluten free” trend (when you’re not celiac or intolerant) is a distraction to the real health problems such as meat and grains. I personally don’t believe sugar is evil either. Unless it’s consumed only as condiment (small quantities to enhance flavor) instead of replacing a food item, there’s no real harm. By now we all know it’s not carbs that cause obesity, diabetes, or heart disease.